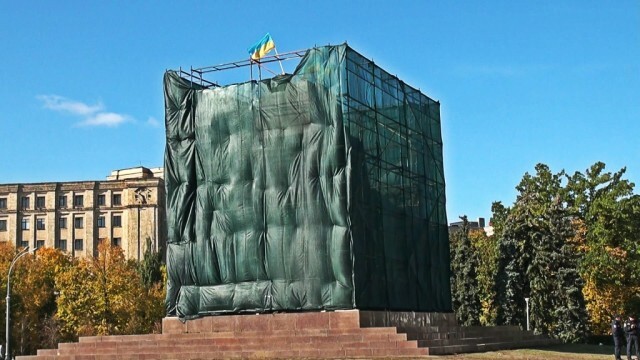 Residents of Kharkiv began collecting signatures to make the city officials install a fountain with benches in place of the monument Lenin. Anton Beletsky put this e-petition on the website of the City Council. “It is very hot on Freedom Square in the summer. I think that people would not mind seeing there a large fountain,” he wrote in the petition. At the moment, the proposal gained 147 votes. The voting will end in three months (88 days). During this time, anyone who supports the proposal may visit the website of the city council and vote for the installation of the fountain in the largest square in Europe. It is worth noting that the service submission of electronic petitions on the website of the City Council began its work on December 1. Today, the site contains more than 50 proposals. You can read them here. Recall that Lenin monument was destroyed in the evening of 28 September.